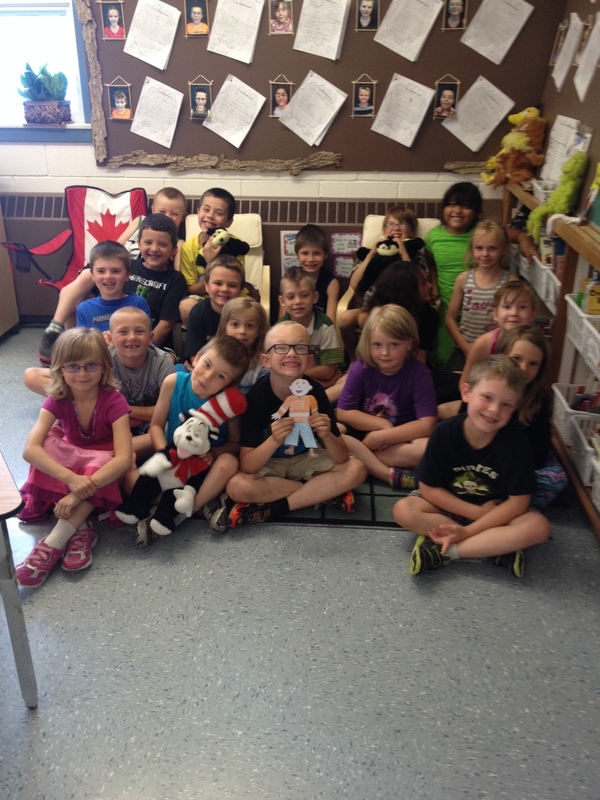 A Flat Stanley arrived at our school today to visit with our grade 1/2’s! He is a very handsome Flat Stanley! A girl named Madeline sent him to us all the way from Blossvale, New York in the USA. We have shared our Flat Stanley letter from Madeline and written her a letter! We are a Grade 1/2 class at Stephen Central PS in Crediton Ontario Canada. We learn all sorts of things like math, reading, writing, media, music, sports, art, science, social studies, drama and dance. Our favourite subjects are media literacy, math, science, and social studies. We have iPads in our classroom that we use for learning every day and we have video conferences with kids and experts around the world who help us learn. Do you use iPads or computers at your school? If you would like to write back to us on our blog we will write back to you! Where has your Flat Stanley traveled to this year? 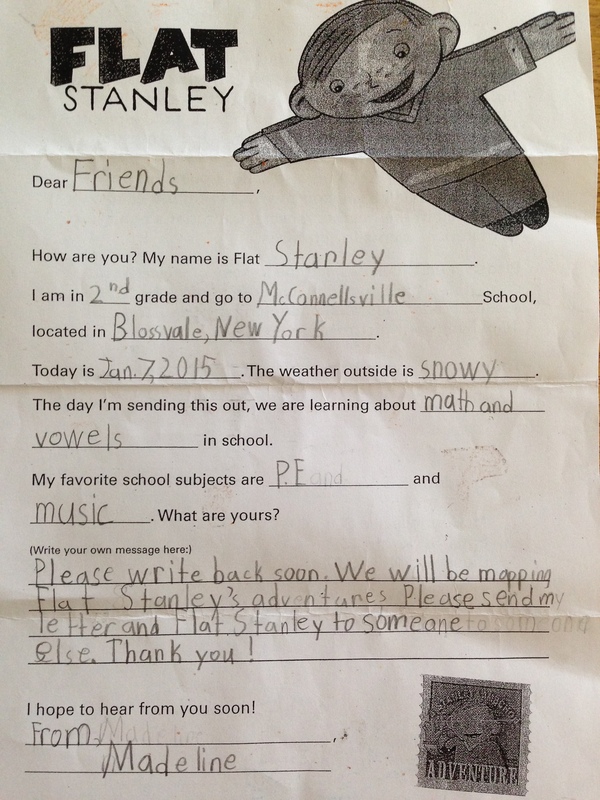 If you could send Flat Stanley anywhere in the world, where would you send him? Why? We will either send him to our friends in Iceland or our friends in Colombia. We hope you write to us soon! Visiting with our Friends in Alberta Again!